You don't have to leave any comforts of your home-base when you have this Sabre parked in a campsite. 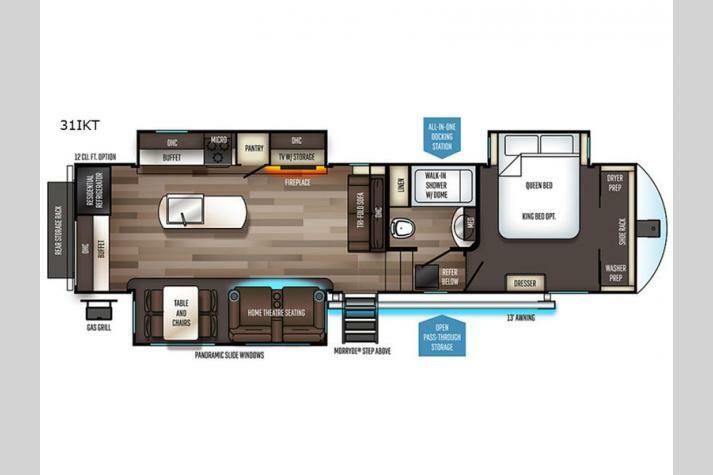 Take the MORRyde quad steps up to this luxurious fifth wheel's inside accommodations. 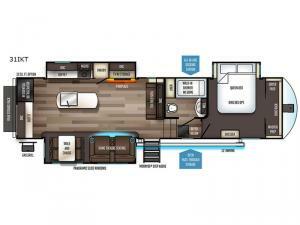 From the home theatre seats with cupholders, and the large residential size LED TV and fireplace with remote, to the large pantry and kitchen island with a residential farm sink, and the two buffets and residential refrigerator, you could live in this RV. 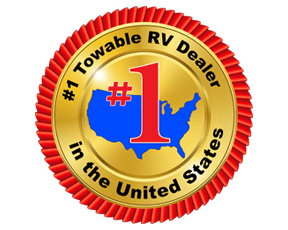 There are more features to see like the EZ stow rack in the rear along the outside, the open pass-through compartment, and more! 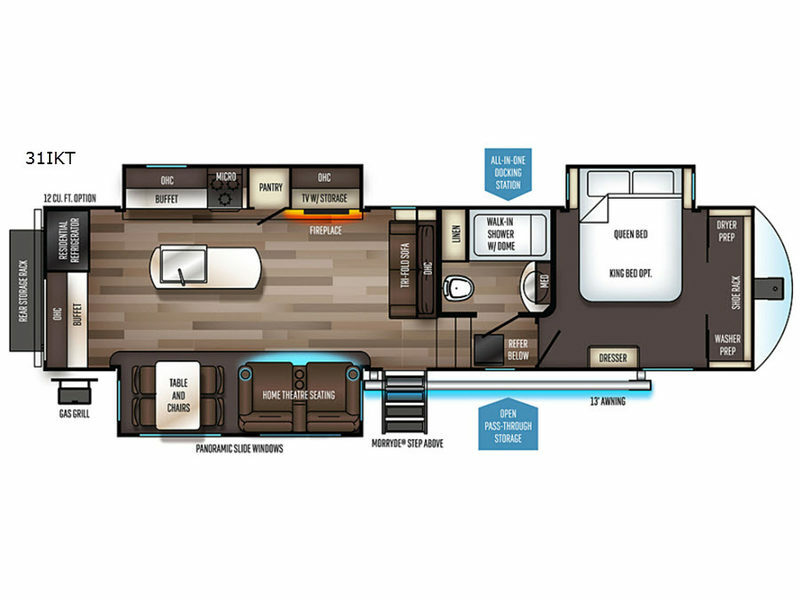 Each Sabre fifth wheel by Forest River offers luxurious living areas, residential kitchen amenities, four seasons of traveling, and lots of storage so you can stay awhile. From the Colossal Camper residential, french door refrigerator with dual freezer drawers, the seamless countertops and the ambient up lighting above the crown molding in the main living area for a stylish look, to the Cinemax seating with cup holders, heat, massage and back-lighting for the perfect movie night, to the industry leading, campsite-view, panoramic slide windows allowing you to enjoy the outdoors in comfort, you will love any model you choose.